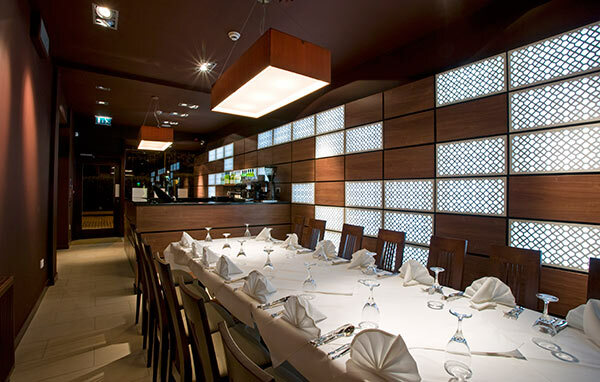 The design of this Indian / Bangladeshi restaurant in Portobello draws directly on South Asian references such as jali screens, which are traditionally used to provide sunscreening to buildings. 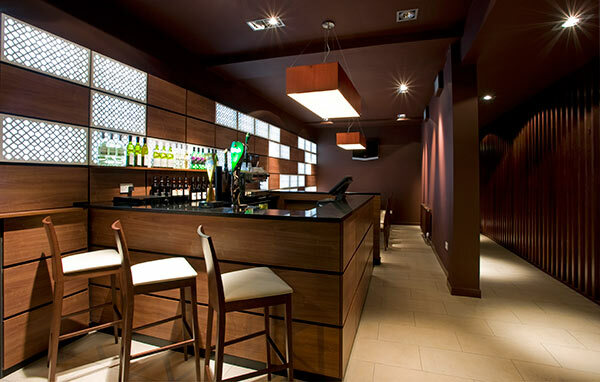 A deconstructed grid of white, jali screen boxes were back-lit to create a striking backdrop to the bar. The surrounding deep umber tones of the interior refer to the earthy spices synonomous with South Asia.